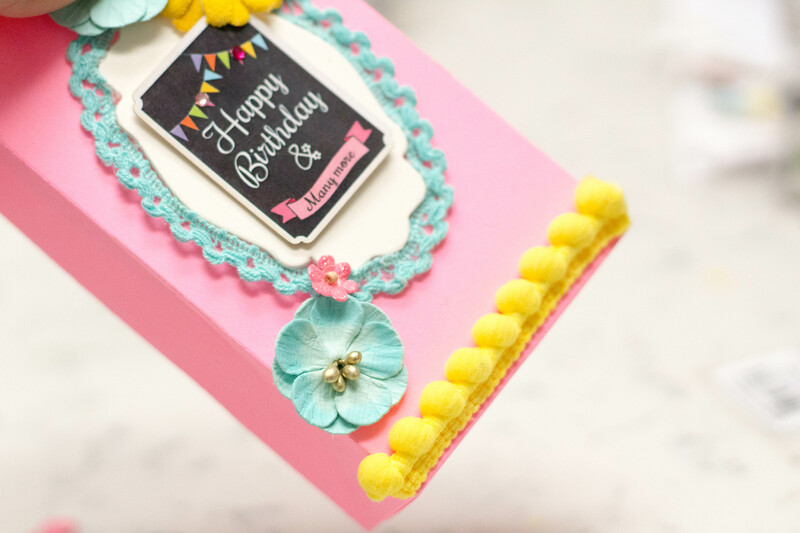 This handcrafted paper gift bag features a charming palette of pink, turquoise and yellow that just feels cheery and perfect for a birthday! 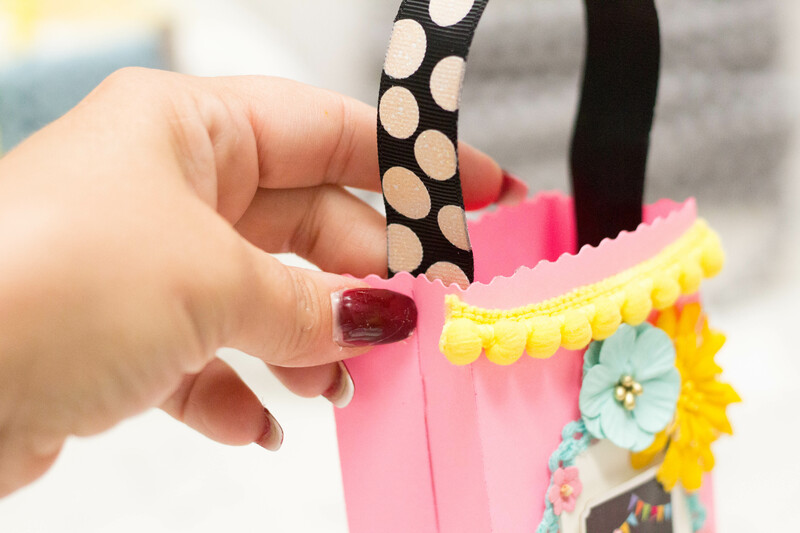 You could purchase a paper gift bag at a retail shop; this one is simple to make in just a few easy steps. 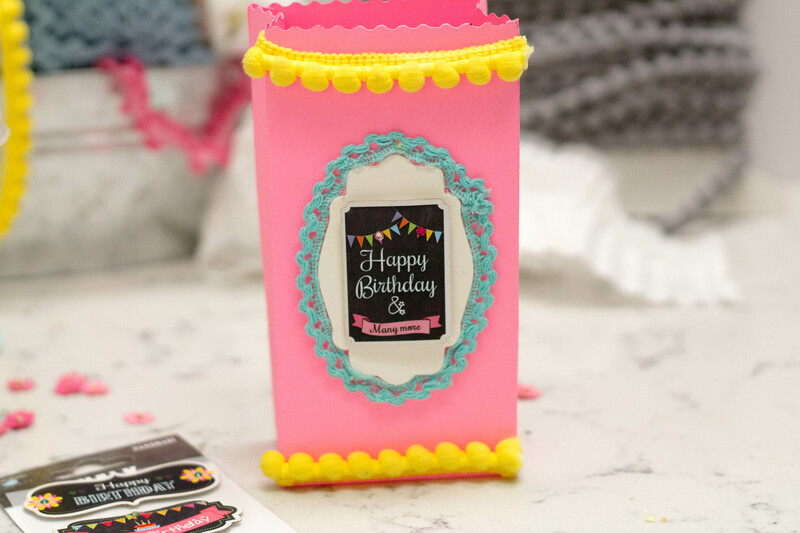 Cut the paper gift bag using the Sizzix Machine and the Sweet Treats Die. 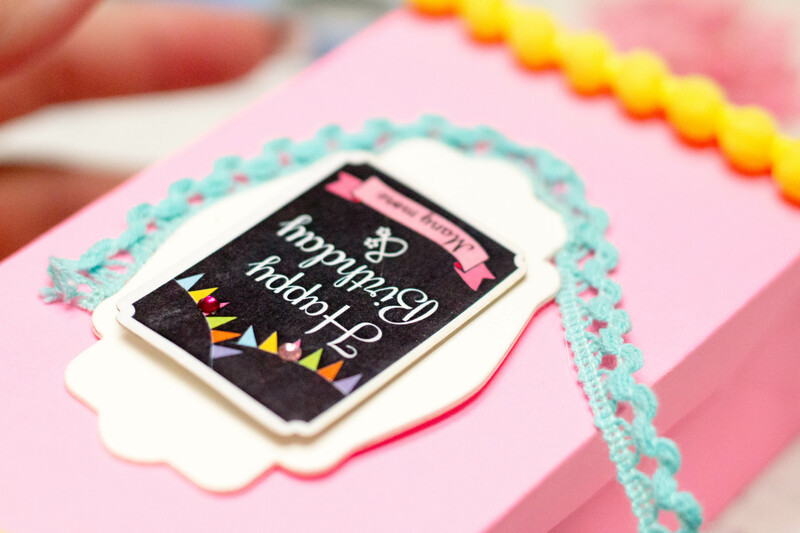 Assemble according to instructions on die insert. 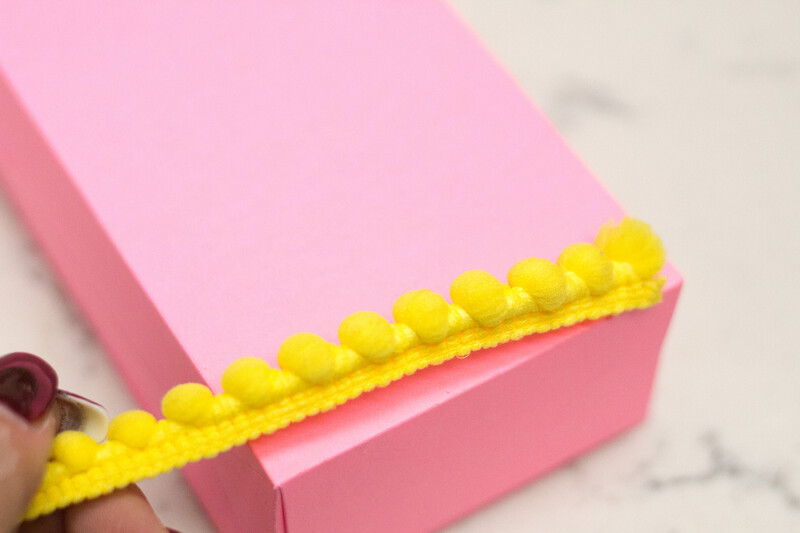 Apply Pea Pod Pom Pom Trim to the top and bottom of the bag front, as shown, using glue. 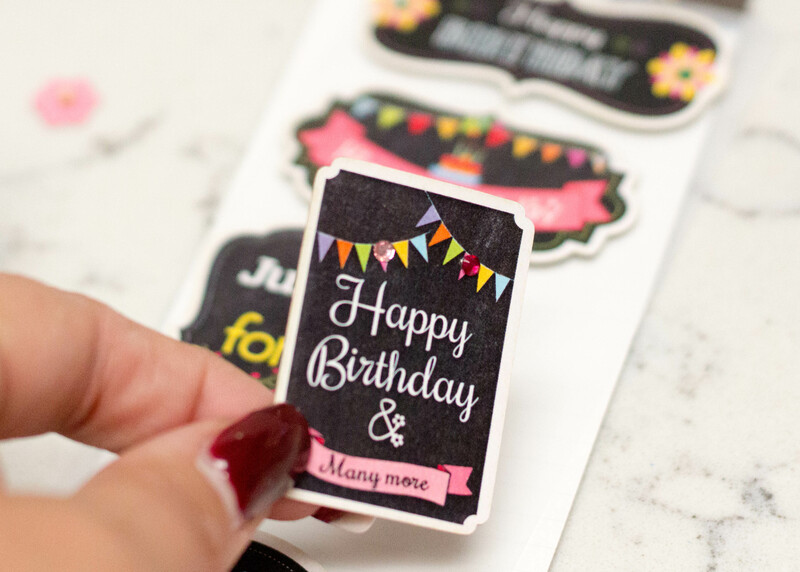 Apply a Happy Birthday sticker to the center of the paper gift bag. I used a piece of scrap chipboard to cut a back plate for the sticker. 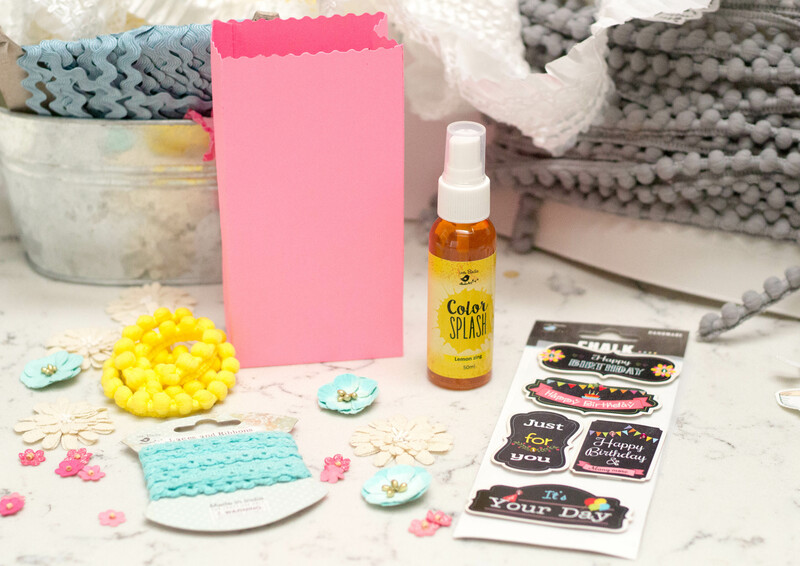 Adhere the sticker and plate (if selected), to the center of the paper gift bag. 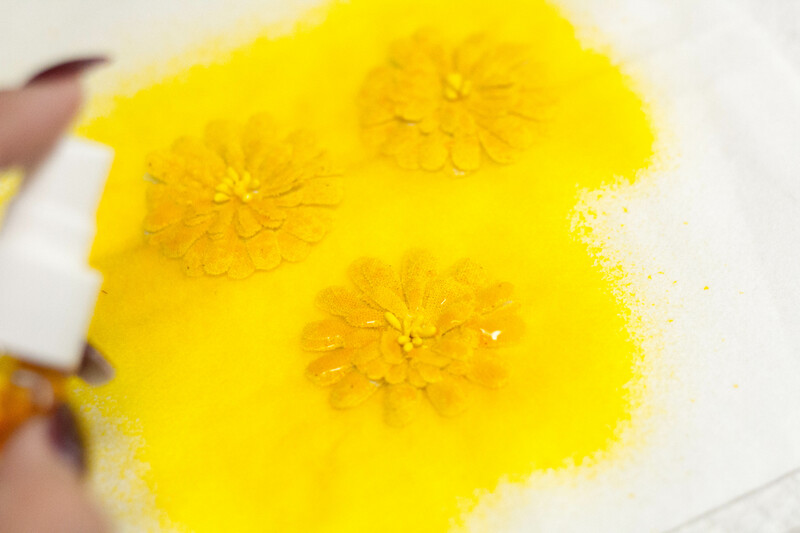 Place Layered Petal Canvas Flowers on an absorbent cloth or paper towel, and spray liberally with Color Splash in Lemon Zing to tint the flowers. 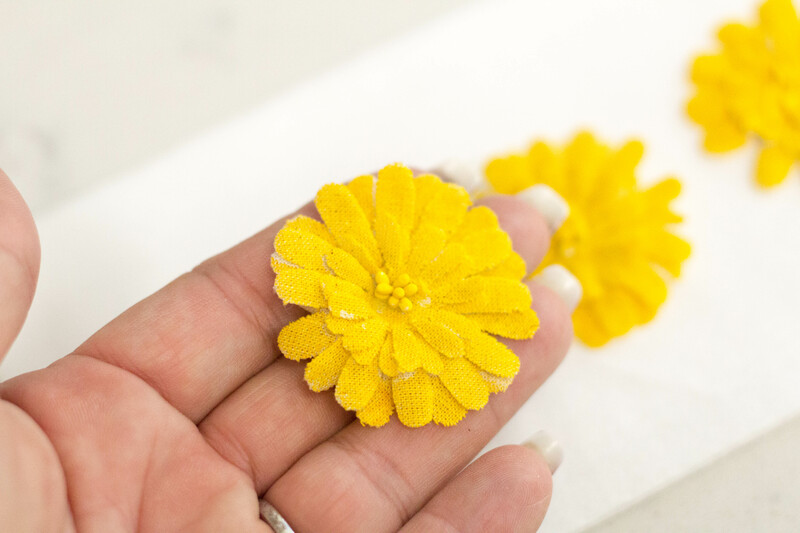 While the flowers are drying, adhere crochet trim around the perimeter of the Happy Birthday label, as shown. 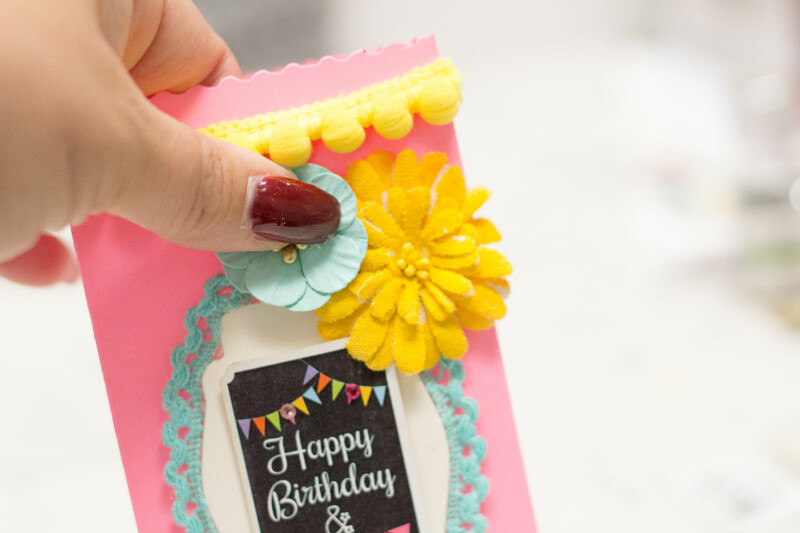 Apply flowers in clusters around the front of the paper gift bag. 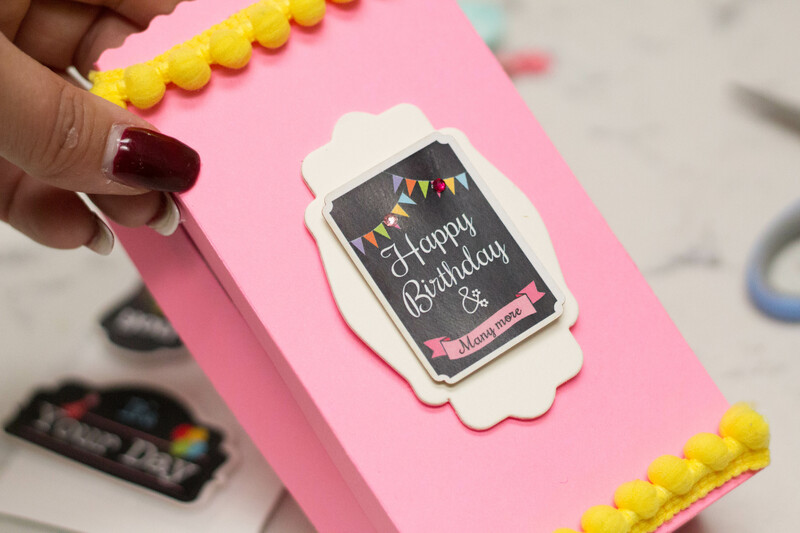 Design this how you like, keeping in mind that odd numbers look great together when it comes to arranging flowers! 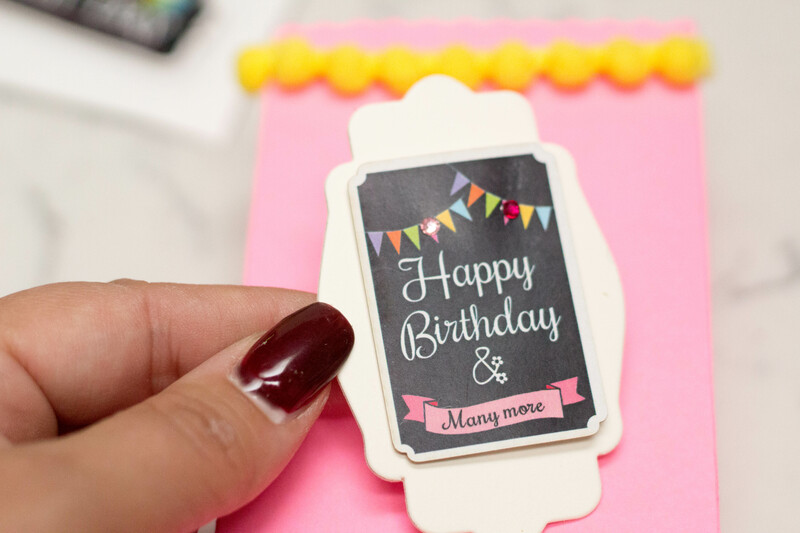 If you like, add a ribbon handle, by gluing about a 6″ length of ribbon to the inside at each end, as shown. 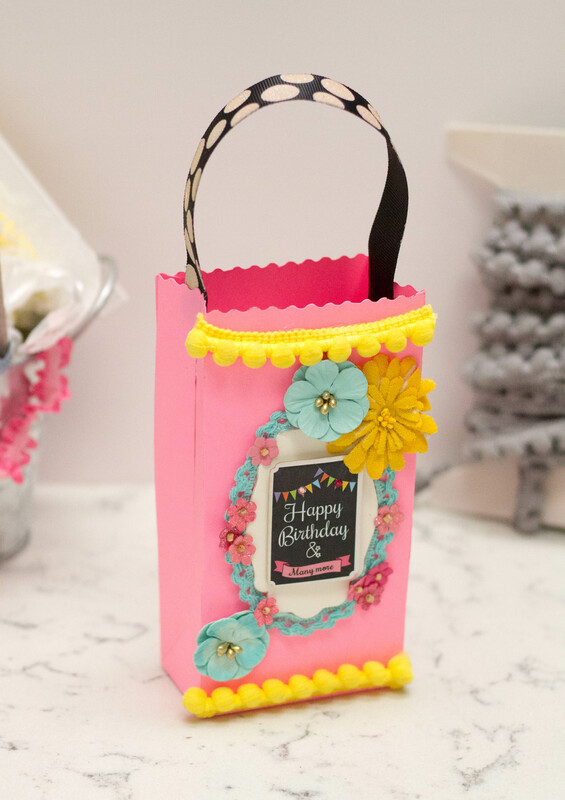 Your beautiful, custom paper gift bag is complete and ready for you to place a special gift or a sweet treat inside for someone special.